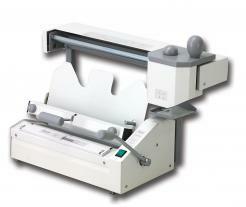 The Fastbind Elite binding machine offers great flexibility for binding and finishing books. It quickly produces hard and soft cover books as well as tear-off pads and stripe binding. The Elite binder is ideal for commercial print shops, print/copy shops, publishers, binderies, school yearbook publishers and photographers. The end result is perfect binding that is strong, square and affordable. Easy, fast and professional Hard & Soft cover perfect binding up to 500 sheets/1000 pages. The Elite XT handles larger books than either the Fastbind Secura or Elite models, up to SRA3, 11 x 17 portrait, including popular photo book sizes like letter landscape, 10 x 10 and 12 x 12. The PUREVA XT! The latest innovation from Fastbind. 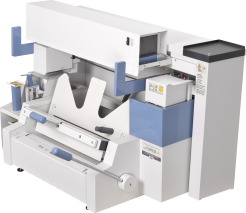 A complete system for Hard/Soft Cover Book binding & casing-in using either PUR or EVA hot melt! Fastbind’s unique rotary binding method makes the Secura the most flexible system available. It quickly produces hard and soft cover books as well as manager covers, tear-off pads and strip binding. The end result is perfect binding that is strong, square and affordable.